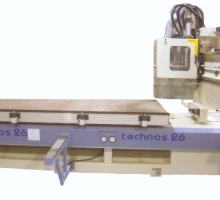 We have been commissioned to build machines from small CNC machine tools up to a machine which is 12 meter’s long with specialised coolant systems for aerospace industry. More.. Whether replacing spindles or servicing wider mechanical issues VWM Technology can bring your machine back to full working order and all work is supported by a 12 month warranty. More..
Pre owned machines are thoroughly serviced and fully refurbished and then resold for further use in the UK and overseas. More.. Introductory training on new CNC machinery or technical updates is available to both new and existing customers and ongoing support and advice is on hand. More.. Taking a recommended two services a year can help identify problems before they become breakdowns. More..
VWM Technology offer high quality spindle re-building service for most makes of Spindles from Colombo HSD Wadkin Rye SCM Omlat and many more. More..